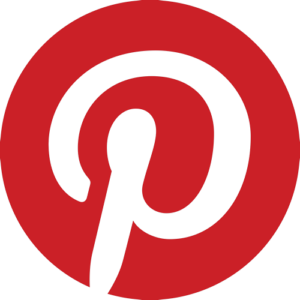 If you haven’t already gone through all the seed catalogs that appeared in the mailbox starting around Thanksgiving, or browsed for seeds on the internet, well what are you waiting for? It’s time to plan which vegetables, herbs, perennials and annuals you’re going to start from seed, and sort out the how’s and when’s of when you’re going to get those seeds sprouting. In our area, the average last freeze date usually falls somewhere in first two weeks of April. Given the wildly varying winter weather we’re having now, who knows when the last actual freeze date will be this year. These peach blossoms are opening a month too early. Hopefully, the buds that haven’t opened yet will wait until the appropriate time. Pruning should still take place in March, and the branches that bloomed should be cut back to just beyond the buds that have already opened. The second half of February is the time to prune apple, pear, and fig trees. Wait until March to touch the peach and nectarine trees. If your peach blossoms are already popping open, you can prune back to the first dormant bud next month. 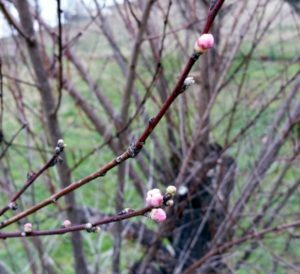 While the implications of pruning, whether light or heavy, are complex, it is thought that fall pruning actually diminishes cold hardiness, and potentially shortens the life of some trees, such as peaches. 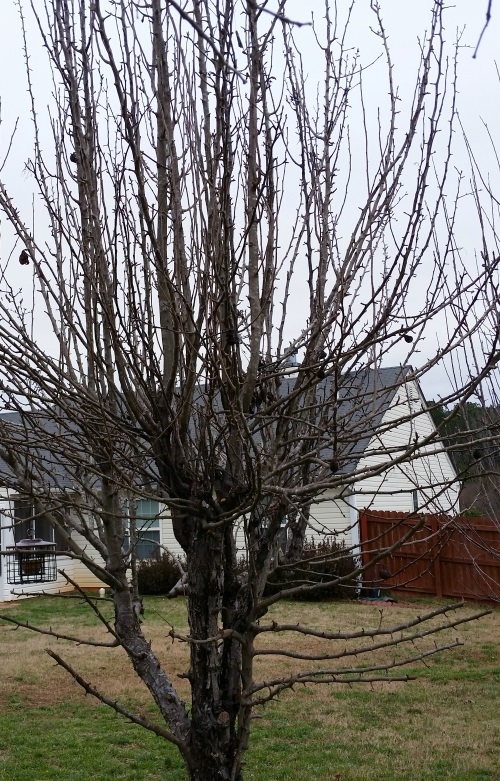 Except for maples and birches, now is a good time to prune non-fruiting trees as well. Despite how sad your azaleas and other early spring flowering shrubs may look after those unusually chilly nights we had recently, hold off on cutting back anything until they have a chance to recover. Even brown tipped azaleas are harboring green, plump flower buds. Cutting them back now would remove all those flower buds as well. So be patient, and let your shrubs tell you when to cut. The interior of this fig tree was very crowded. 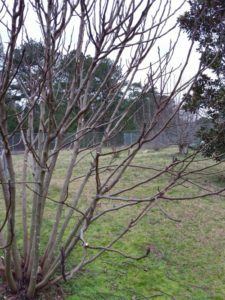 Removing rubbing branches and cutting back the tall branches by a quarter, to outward facing buds should be about all this fig tree needs this year. The birds and bees can have the figs in upper reaches as there will be plenty to share. For figs that have become unruly, remove no more than a quarter of the branches. Try to encourage horizontal branch development by cutting just above outward facing buds. You don’t necessarily have to prune figs, if the cultivars in your garden don’t grow too tall anyway, or you’re willing to share what you can’t reach with the birds, bees, and other fig-loving critters. The bottom third of my fig trees are reserved for the dog, who picks those branches clean. I get the mid-section, and the other critters get the top third of the tree. It works for us. There are specific guidelines for pruning young apple trees, from the time they’re planted until they’ve been in the ground for several years. A rule of thumb for mature apple trees, though, is to get rid of the clutter that blocks sunlight from reaching the interior of the tree. Start by removing the vigorous vertical shoots that are crowding out the more horizontal branches. Then the remaining branches can be treated in a fashion similar to that which was used when the trees were younger. The details on how to prune home orchard apple trees, regardless of their ages, are found in the cultivation guides listed in the resources below. This overgrown pear tree was loaded with fruit last year, most of which could not be harvested because of the overcrowded vertical interior branches. A tree this overgrown may require professional pruning to ensure safety and proper rehabilitation of the tree, which was topped at least several years ago. Pear trees tend to be pretty vertically inclined, but you can train branches into a more horizontal orientation. Prune mature pear trees to open up the interior of the tree, in the same manner as apple trees. There are spurs that grow from the main trunk, which should be removed every few years to improve yields. You’re probably already painfully aware that the spurs occurring on apple, pear, and plum trees harden and resemble weaponized toothpicks after a few years, so protect your head, arms, and hands while pruning. Keep them away from your pets as well, trust me. Those spurs stay sharp long after Fido has swallowed them whole. If you have older trees that were planted too close together, consider checking out the document entitled “Backyard Orchard Culture”, included in the list of resources below. It turns out that summer pruning can help prevent the trees from overcrowding. Other gardening and landscaping chores can be found in the gardening guides listed below, but don’t go overboard. Ease into the new gardening year gracefully, and be patient with the plant life attempting to recover from the unusual winter we’re having. 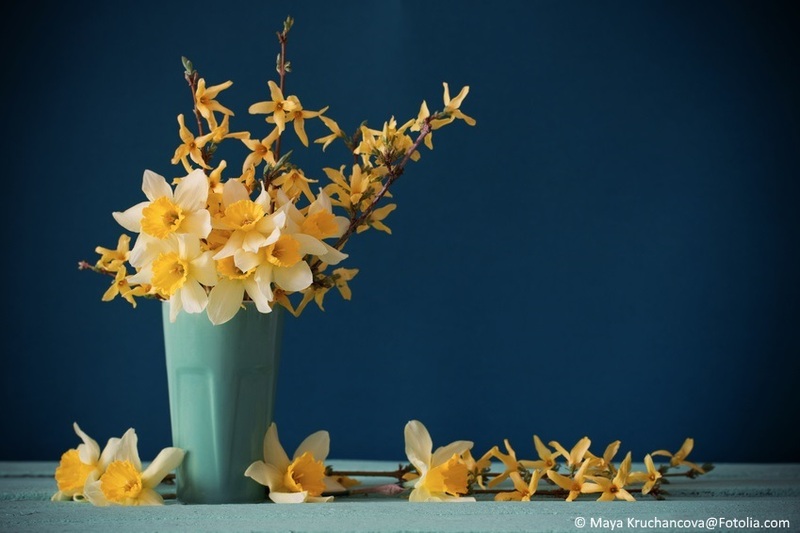 Oh, and enjoy some cut flowering branches indoors. Even those dang early peach blossoms look good in a vase. 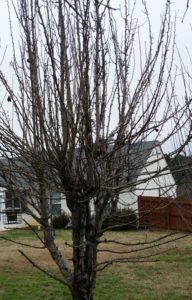 Since we had a few unusually cold spells, here’s a couple of articles on what to expect and how to respond to the potential adverse impacts on the trees, shrubs, and perennials in your yard or garden.